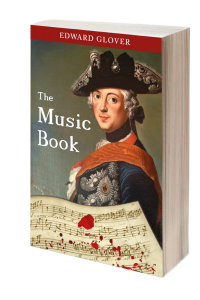 The Music Book is available as both an ebook for the Amazon Kindle (and smartphone/tablet/PC via the Kindle app) and in paperback. Please purchase from the appropriate Kindle store using the links below, or search for “The Music Book” directly from your device. Order a copy from your local bookstore (the ISBN is 978-0992955106), or order online from Amazon or any other good retailer. Edward Glover is a historical novelist and author of The Music Book, Fortune's Sonata, and A Motif of Seasons.